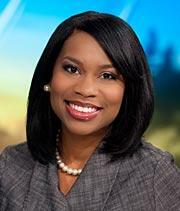 WATE 6 Good Morning Tennessee Anchor · Jun 2002 to present · Knoxville, TennesseeTearsa is a non-traditional morning news anchor. She handles breaking and developing stories as well as news of the day for the East Tennessee demographic. Tearsa uses the internet, telestrator, raw and edited video, sound, satellite, UStream, and news wires to tell breaking and developing stories. Daily she tells stories without using a teleprompter, as the show is structured for a bit of ad-libing. Tearsa is also responsible for reporting taped segments for the early evening shows. Tearsa is responsible for anchoring the early evening newscasts in the absence of a scheduled anchor. She produces and reports quarterly on a series called “Spotlight on East Tennessee” for FOX 43 News. She’s a daily contributor on the “Marc and Kim and Frank” show on Star 102.1fm. Tearsa has an extensive background in live field reporting.